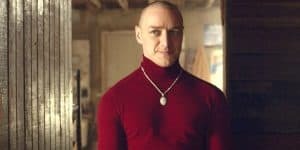 Split Sequel Already Being Teased by M. Night Shyamalan | Nerd Much? After only releasing a few weeks ago, a Split sequel is already been discussed by director M. Night Shyamalan. With the film’s critical success, we’re not surprised. Shyamalan turned to his personal Twitter account to tease that he is already working on a Split sequel. Over the weekend, the director revealed that he has an 11-page outline for his next film. “I have an 11-page outline for my next film in my bag. I can’t tell you what it is, but If you’ve seen Split…” he tweeted. If you haven’t seen Split, it’s the story of a man with 23 different personalities who has kidnapped three young women. Critics have called it a return to form for the Shyamalan. The director’s previous releases haven’t quite hit the magic of The Sixth Sense, but this movie might have changed that. According to the Philadelphia-based filmmaker, Split was the second part of a trilogy that started with Unbreakable in 2000. While speaking with USA Today, Shyamalan discussed his excitement for the outline he has written down. “It’s very big, so that scares me a little,” he said. Split was a produced on a reported $9 million budget. To date, the film has grossed $141 million at the worldwide box office. That’s what we call a success. Garrett is the guy who brings you the daily news. He also shares his weekly opinions on games, comics, movies, anime, and food. Take these opinions with a grain of salt. If you need some more salt, find him all over social media @GarrettHulfish.